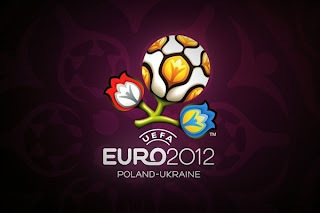 Just few hours to the beginning of the party in Poland and Ukraine, these two countries will play host to 14 more nations from June 8 to July 1 2012 and everyone has a feeling this tournament will go down as one of the best but talks about racism, volatility, human rights violation has threatened this showpiece event. Dortmund goals machine, Robert Lewandowski, in the middle of the park Jakub Blaszcykowski, at the back line, Lukas Piszczek who also plays for the German champions. Wojciech Sczesny, the Arsenal goalkeeper can provide cover in goal. But my worry for them is how solid they can be at the back, but they have an easy opener against Greece, and that should give them a bit of ease, plus the 12th man (the crowd). But the polish team should be wary of the Greek team that enjoy playing as a unit, haven't got much talented or individualistic players but Euro 2004 springs to mind when the odds were stacked against them and they shocked you and me. Otto Rehhagel was in charge but now Fernando Santos is at the helm and made sure that the Greek team still maintain their solidity. Such a pity that Dionisis Chiotis, the APOEL Nicosia goalkeeper is not part of the squad despite his awesome form in the UEFA Champions League, Kyriakos Papadoupoulos had a wonderful season with Schalke 04, Vassilis Torossidis is also a decent defender and would do a decent job against decent teams. Getting goals might be their problem, tired legs like Kostas Katsouranis and Giorgos Karagounis might lead the line but Giorgos Samaras international form has been average, Theofanis Gekas is another player to bank on for goals. 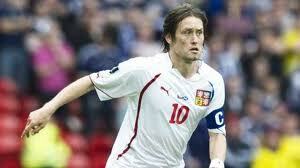 Some have called them the golden generation, Russia have always promised so much and delivered nothing. Euro 2012 looks to be another avenue for them to shine but with defensive injury worries for them it looks highly unlikely for them to shine. Roman Shiskin and Vasily Berezutski are out of the tournament which leaves them with Alexander Anyukov at right back, Ignashevich in the center and Yuri Zhirkov on the left. Down the middle the Russians have players who love going forward, topping that list is Andrei Arshavin who had a reveamped end of season on loan at Zenith, Oleg Dzagoev as been touted as the next best thing in Russian football, meaning he has the tendency to get goals and don’t forget that he can create goals too, Pavel Pogrebnyak also enjoyed a fine half season with Fulham, me thinks they are favourites to top group A. The Czech team is another team to watch out for, played in the finals of Euro 96 with class players like Poborsky, Patrick Berger, Pavel Nedved, Jan Koller, but since then, its been a downward slide for the Czechs. Strongpoint for the Czechs will be their ability to play free flowing football and get goals with ease, Old war horse Milan Baros is still much around but no more prolific like he used to, but Tomas Pekhart the youngster from Nurnberg can do a good job, but one wonders if the big stage wouldn’t overwhelm him, they’ve got guys who can pass the ball well in Tomas Rosicky whose fitness is a worry for Mikhal Bilek the coach.